With this view in mind, its easier to focus on the experience of the protagonist, a woman feeling trapped in her male-dominated world. She doesn’t experience the events of this afternoon in a sequential narrative; she experiences the event in pieces, focusing on objects around her (a key, a knife, a flower, bread on the table). Most of the scenes are interior, because the conflict occurs internally for Deren or because from a feminist standpoint, she is stuck inside a man’s house. Scenes are “meshed” together, whether because she feels them together or because the audience needs to feel the disjointed nature of her emotions is unclear. The music is a huge aspect of why the audience feels so thrown-off and uncomfortable. Because there is no narrative set-up, no real conclusion, we are denied the “pleasure” of watching the film, perhaps because the protagonist herself is denied some sort of pleasure. 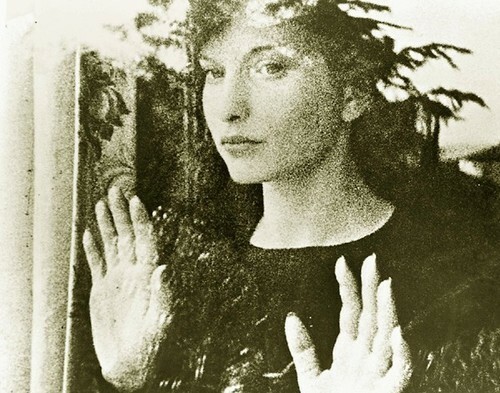 More information on the film and Maya Deren can be found on Mubi, an online cinema database.